They might be going back to the bimonthly model, if i'm interpreting that "note" from earlier right, "another month or so after the previous Disney Treasures." GuruGuy128 wrote: Okay, went back and watched the part, when she's answering the question about the tin she says, "The Next coming one there will be a tin inside of it" then she says, "then the one after that one, we got crazy not crazy bad but crazy unique." Then Nerdette referring to the next one says that its has a smell, a nice smell. I rewatched it and you're right. Unfortunately it isn't unusual for them to have connection issues during Periscope, so it probably cut out temporarily which made me misinterpret this. I wish they would just come out and address exactly how this box is being handled so that we wouldn't be confused about this. Transparency and clarification, indubitably. They shouldn't even be allowed to call these DT boxes anymore. It's not a subscription, and the DT exclusive sticker is gone. The Pops from the MCC boxes (plural bc there was a leaked image for the next box) still say Collector Corps on the sticker, and...hello...it's a subscription; as is/will be the SB box, also from Amazon. Don't get me wrong, I love the Pops that came in these, but these are just Hot Topic exclusive boxes with too much filler garbage and the normal hefty price tag for their exclusives. The hot cash mishap from the Under the Sea box was fortunate; as was my having $10 in rewards when the Villains box dropped too. I think overall the sub boxes were just so fantastic that they left big shoes to fill, and my expectations are now too high. It is nice that we don't have to pay shipping (if you are fortunate enough to have a store nearby for pickup). But I agree, I didn't pick up the Villains box yet (maybe I won't?) because I wasn't wowed by anything except the mini. And with other people who don't collect minis, it might be easier for me to just buy someone's extra on ebay since the Captain and Croc were cute but not 100% necessary for me. The Amazon ones are fine, easy to control, I don't have to worry about it that much, and No shipping charge. Hot Topic is okay, just a little random and unclear at times. I agree that this doesn't feel like a subscription box anymore. It also shouldn't be called disney treasures as there s nothing indicating it is Disney treasures. I like how Amazon has taken over and seemingly maintained the old style. Not sure why Hot Topic has really done a big change to it. I'd like more Lilo & Stitch, but I want more than just a bunch of random Stitch variants... We got Angel, there's 625 more cousins they can choose from, as well as two TV spinoffs (which we sadly don't even get in the US which is dumb.. maybe with the Disney streaming service?) I'd need to know what's in the box before I drop that much on them though, do they always have photos of the contents on ht.com? NightmareMermaid wrote: I rewatched it and you're right. Unfortunately it isn't unusual for them to have connection issues during Periscope, so it probably cut out temporarily which made me misinterpret this. I wish they would just come out and address exactly how this box is being handled so that we wouldn't be confused about this. I think all these statements are true. I think Funko made the Disney Treasures boxes too good that expectations were just too high when the subscriptions moved if they didn't stay the same or be better people would be disappointed. However, I don't see how they could stay the same or be better from a financial standpoint since another party is involved and now needs a cut of the profits. However, Amazon seems to have done better in keeping the box more in line with what it was before than Hot Topic has. HT is really churning out the exclusives of all kinds, pops and the DT boxes. I hope with them doing that quality doesn't suffer and these boxes just become a bunch of random stuff so they can have a box come out each month. Here's what I found out from HT Nerdette. 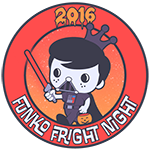 This month’s box theme is horror and has a chase. The next Disney Box will release late October or early November. An item from it will have a tropical scent. The Disney box will be 4 times a year in the future. I wish it was every month or was at least six times a year like it used to be. NightmareMermaid wrote: Here's what I found out from HT Nerdette. This month’s box theme is horror and has a chase. The next Disney Box will release late October or early November. An item from it will have a tropical scent. The Disney box will be 4 times a year in the future. So this one coming in September is just a small unrelated Disney box. Last edited by GuruGuy128 on Tue Sep 04, 2018 8:31 pm, edited 1 time in total. So, does it really cost that much to manufacture that they are cutting back so much or do they just not want to do it very often? I don't really like how Hot Topic has taken over Disney Treasures. It needs to go to Amazon. Haha. 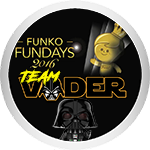 I'm not sure who exactly decided on four, but HT Nerdette wants to do them more often than that and will be talking to Funko about it soon. This box has been good so far, i agree it could be more consistent with the term. I don't care if it's not a sub anymore, I just want a clear schedule. Wonder if they will all be movie moments going forward. I like how everyone doesn't comment on this month's box theme being horror and more importantly, having a chase. 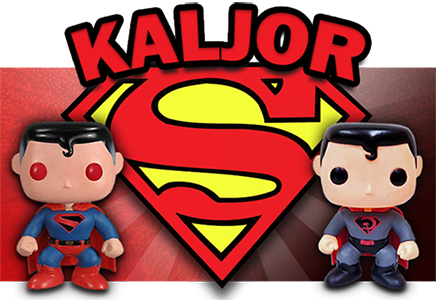 Kaljor wrote: I like how everyone doesn't comment on this month's box theme being horror and more importantly, having a chase. That’s a bummer it’s only going to be 4 times a year. I liked every other month. 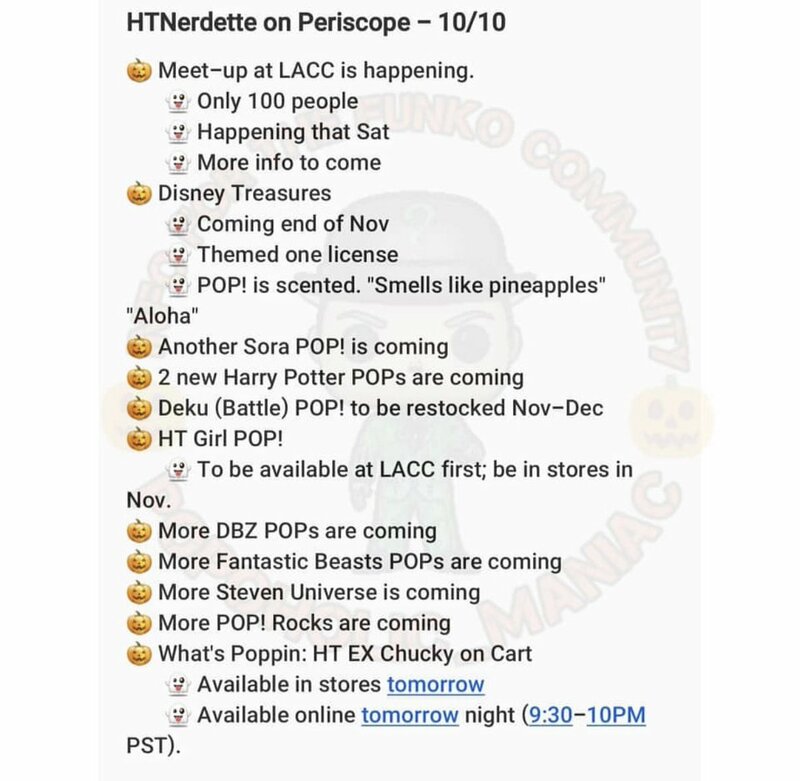 It looks like they are going to have MULTIPLE Funko mystery boxes at HT, not just Disney treasures, which may be one reason why things have been so messy with their initial release. Hopefully as things get settled it will get better. We can only hope that it gets better over time. I hope so. A more consistent release schedule would be great. With them having an additional mystery box (Horror) I can see them making this change. Especially since 45 days to hold something, when they storage area is so small in a mall space is limited anyways, makes sense. Hmm this message seems to say there's only going to be 4 Disney Boxes a year, maybe it's quarterly? I guess Hot Topic likes they got Treasures but it's clear that's not the only box they want to do, as evidenced by the Horror Box. GuruGuy128 wrote: Hmm this message seems to say there's only going to be 4 Disney Boxes a year, maybe it's quarterly? That's my post. I already posted that info earlier in this thread. HT Nerdette is working on getting more boxes made per year, but currently that is the agreement. A little disappointed that it is going to be quarterly rather than bimonthly like before. However, maybe they will be able to listen to fan feedback during that time to improve the boxes since we will have less of them. They are dropping the ball on the Disney box. Poor step child box.. Which is too bad!! It was such an amazing box when Funko had all the decision making power over it!! It had some of the best stuff out of all of the boxes IMO. 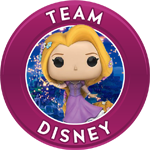 NightmareMermaid wrote: The next Disney box will release late October or early November. An item from it will have a tropical scent. The Disney box will be 4 times a year in the future. The box's release date was pushed back and will now release at the end of November. It will only have one movie in the box unlike past releases. NightmareMermaid wrote: The box's release date was pushed back and will now release at the end of November. It will only have one movie in the box unlike past releases. Meeeeeeh :-( I have $20 in rewards that expire mid month. I also have a pretty good idea what the box is going to be themed to with the hints of pineapples and "Aloha"